OUTER BANKS, NC. 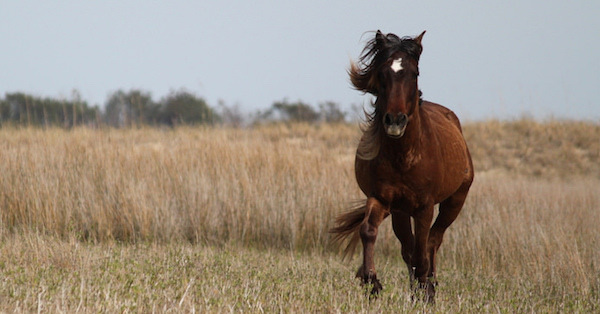 (THECOUNT) — The majestic wild horses that roam numerous areas in North Carolina’s Outer Banks thankfully made it safely through megastorm Hurricane Florence, according to several societies that track the animals. All indications are the ponies survived the high winds and torrential rains, say officials. TRENDING: NM "National Solar Observatory" Locked Down By Feds Complete With Blackhawk Helicopter & Extreme Secrecy, But Why? 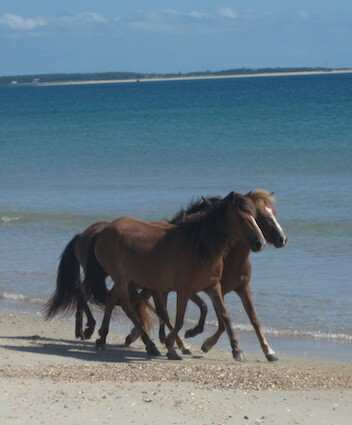 According to a Facebook post from the Cape Hatteras National Seashore on Saturday, all of the ponies that call Ocracoke Island home were safe and sound. Even their pony pen stood undamaged. A similar sight was seen a little over 100 miles north of Ocracoke in the towns of Carova and Corolla. NM "National Solar Observatory" Locked Down By Feds Complete With Blackhawk Helicopter & Extreme Secrecy, But Why?